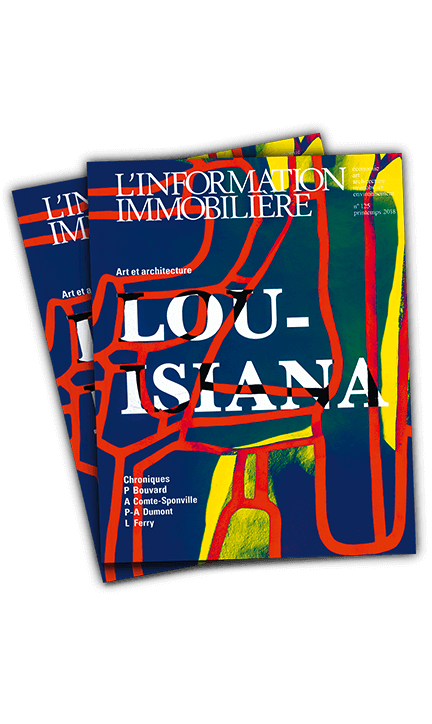 Created in 1976, the journal L’INFORMATION IMMOBILIÈRE is published three times a year (February, May and September). It covers various topical subjects: arts, travel, economy, politics, architecture, ecology and culture. Since its creation, the publication has been mailed to decision-makers, members of the professions and anyone interested in quality information.